Premier computer service and IT support company serving Daytona Beach, Ormond Beach, Port Orange, Winter Park, Lake Mary, and all other areas in Central Florida and Volusia and Flagler counties, Vann Data offers IT support, network and desktop support, computer installation and upgrades, IT outsourcing/staffing, consulting services, hardware, software and licensing, healthcare IT, network security, computer repair services, and much more. "Thanks for having such a great, competent, supportive team!" "Thanks for your great support, professional staff and timely response. I appreciate the depth of knowledge and strength from the Vann Data staff." "I appreciate the responsiveness of the Vann Data team to our needs. We have an excellent working relationship." "Your engineers are very professional every time they come to our office and do an excellent job!" "Vann Data’s expressed commitment to good sound customer focus is second to none in its industry." "We are very pleased with the support provided by Vann Data. The work performed is to an industry standard in marked contrast to the varying levels of support provided by technicians that work out of the trunk of their car." "Every time we call with a problem, they respond with friendly, accurate solving of our issues. Keeps us up and running for all our clients." "I have a great level of comfort depending on the support my company receives from Vann Data. I believe the industry standard is used in all areas. Our needs are addressed quickly and accurately as required." "We are glad that we found a reputable company to work with in regards to our computers. We have a few not so savvy computer users here and Vann Data has taken the time and used plenty of patience when working with us. We appreciate their help!" "Your techs have been fantastic in taking care of any “issues” we have had with the computers!" "Our practice has worked with Vann Data for the last 27 years. We trust Vann Data with our software as well as our hardware. Their support team know our staff’s names and where they sit, which computers they use and all their job needs." "I am very satisfied with Vann Data especially I can always call and talk to somebody that will address my computer problem. The personnel are nice and always knowledgeable." 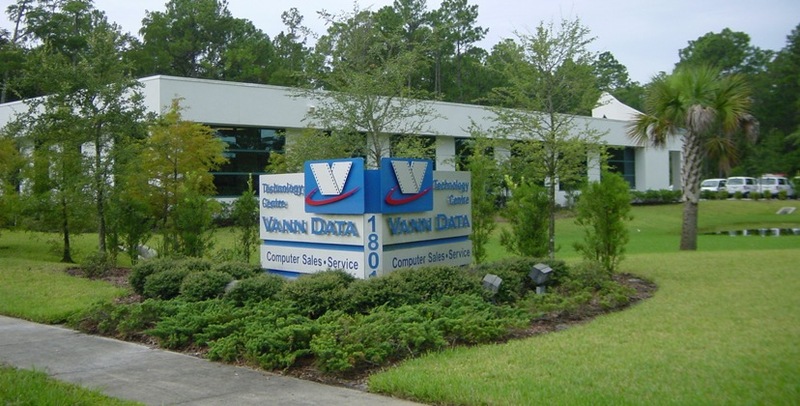 "I was really impressed on the service we received from Vann Data Services, Inc. They are an impressive team which delivers on their promises and are stand out performers in the Managed IT Support Provider sector." After the software problems we have had the past few weeks, it was with great pleasure to work next to Randy solving this matter. I will highly recommend Vann Data for anyone that needs professional IT support. Once again we dealt with exceptional support from your business as always. We greatly appreciate it. Thanks for your timely response and excellent work. You make my work a whole lot easier! One of our staff members forgot her computer password. Brandy was able to send over a replacement in just minutes! We did not lose any work time. Thank you! Travis did a great job! He listened to our issues, took time to troubleshoot and look for all possible causes, and left us with very useful information on what to do if it occurs again. Just what we needed and wanted. Great job, thank you. I have great confidence in the team! This company is very prompt at returning calls and emails. The Help Desk helped us immediately with our problem and when the problem couldn't be solved remotely, an engineer came to our office and worked on the problem until it was fixed. We highly recommend this company. How your business responds to the threat or aftermath of a data breach could determine your long-term success. Use this advice to retain clients and customers. Avoid data breaches or a slowdown in operations by reaching out to a dependable IT outsourcing firm. Discover the major business benefits of choosing this option.